A lot can happen in ten years! Since 2009, NOU has grown from a small, seasonal charity offering camperships to summer sports camps to a year-round, multi-year program serving over 100 young men in Baltimore City. Next One Up has been recognized in the community for providing high-quality programming and making a long-term commitment to its student athletes, many of whom will be first generation college goers. Ten years of outcomes show a clear impact. Next One Up’s triple focus on supporting young men’s academic, athletic and social development is making a difference. Our services can have a radical, positive impact on the life trajectory of the students we serve. Since our program’s start, 100% of participants have graduated high school and 95% have matriculated to college. That’s something to celebrate! During 2019, we look back on all we have accomplished and look forward at our vision for the next ten years. Follow us on social media to stay current on all our Tenth Anniversary events and promotions! NOU is founded by Matt Hanna while he is working as a Baltimore City teacher. Programming for the four initial members includes weekend basketball games, mentoring lunches and camperships to summer camps. “Founding Four” members celebrate a 100% on time graduation rate. NOU has maintained a 100% on time high school graduation rate ever since. Matt Hanna is recognized by the Open Society Institute-Baltimore as a Community Fellow. Fellowship funding and technical assistance help NOU to professionalize. 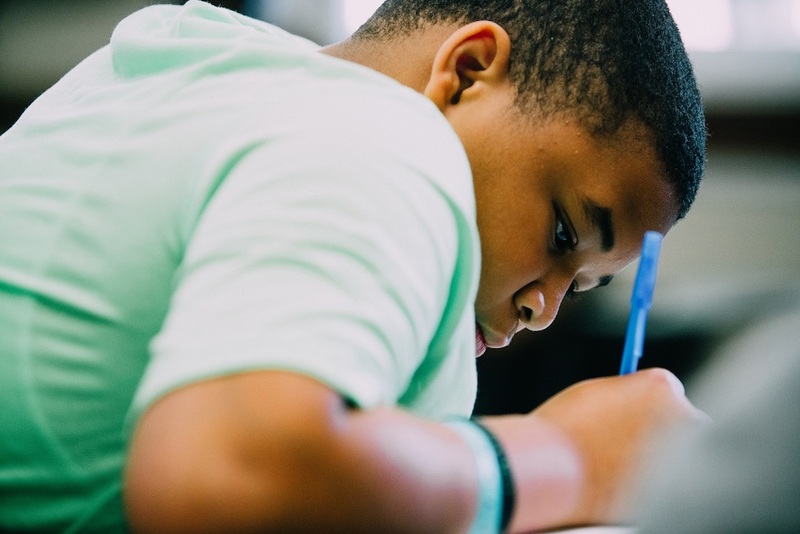 NOU begins to offer standardized test prep in addition to other academic, sports and leadership opportunities. NOU offers first college immersion experience, taking two young men to Hobart College for one week in the summer. NOU offers its first in-house summer program focused on academics and service. NOU begins admitting middle schoolers to the program to promote a more long-term investment in students. NOU’s first members graduate college. NOU hires its first full-time Program Director and a part time Academic Coordinator and dramatically expands weekly OST time through weekend programming at the 29th Street Community Center. Summer Programming grows to five-weeks including a week-long college immersion opportunity at Hobart. NOU hires a College Counselor. Serving a dramatically larger number of students, the organization begins to restrict admissions to middle school. 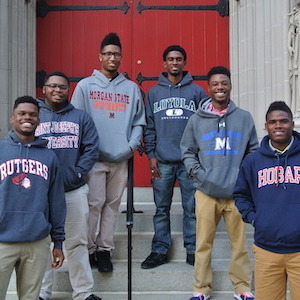 For the first time, NOU serves and active roster of 100 young men in the city. NOU adds experiential learning as a key programmatic offering. Give today and make a difference in the life of a young man in Baltimore. Raise $1,000 (combined offline and online donations) from ten friends and you will receive two free tickets to NOU’s Annual Event and 10th Anniversary Celebration in October 2019! Contact info@nextoneup.org to learn how to name your Crew and get started. Did you know Next One Up is named for a poem by Marc Kelly Smith? You are the stone itself. Next man up, next woman up. Sharing a place, sharing a vision. Room enough for all on all the mountain peaks.